Lakeville, Minnesota, February 20, 2017– Adams Radio Group has named Kevin Musselman VP & GM for it Fort Wayne, Indiana cluster. 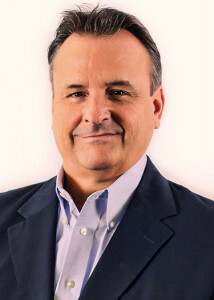 Kevin has been with Adams in Fort Wayne since it entered the market via acquisition of Oasis Radio and Summit Media Fort Wayne serving as Director of Sales. Adams owns and operated WBTU, WJFX, WXKE, WWFW, WGL AM, WLYV AM and Metro stations B-96, The Patriot 103.3 and Kool Oldies 104.3. From 2007 to 2012 Kevin served in GSM and GM roles for Federated Media. Kevin has called Indiana home for the past 27 years. Adams Radio Group is a medium market media company focused on local radio operations and creating great marketing opportunities in the local communities. We are heavily involved in the areas we serve and are dedicated to the growth and success of the communities and clients we serve. Our employees are well seasoned radio professionals that know how to work with local businesses. Our success comes from embracing the local market, our employees, and the core values of local radio. Each of our markets is live, local and focused to super serve!